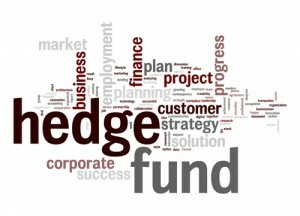 Hedge fund word cloud. Photo courtesy of Shutterstock. The transition from investment banking into the field of hedge funds is quite common and natural. Banking professionals choose to dive into the frantically competitive world of hedge funds because these jobs are challenging, highly rewarding and open the doors to a whole set of new opportunities in the future. Prior experience in the banking sector is an added advantage and increases the chance of success in the hedge fund market. Here is a comprehensive guide to assess the experience, specialisation and other skills required to excel in this job profile. If money is the only reason you are looking for a dive into the hedge fund market, then you are probably on the wrong boat. Hedge funds and investment banking are equally challenging fields but however the risks associated with the former is much higher. Only an individual with 100 percent commitment and passion for the work will be able to reap the best benefits from the industry. The transition from the buy side to the sell side is no easy task. Investment bankers trying to tap into the hedge fund market must at first clearly understand the dynamics and demarcations within the current industry scenario. Building a strong relationship with industry experts, taking up an internship program in the hedge fund industry or reading up on the relevant information regularly can help investment bankers to understand the other side of the coin. A major pull-back that investment bankers face while looking out for hedge fund opportunities is the lack of a niche skill. While investment banking is all about establishing oneself across a wide range of skills pertaining to different domains, hedge fund trading is about developing in depth knowledge about a specific skill set. An investment banker with a streak of entrepreneurial abilities has better chances of being a successful hedge fund analyst. Hedge funding involves a lot of uncertainty and risk. It takes a strong leader to assess the impending risks, take ownership and develop a unique value preposition. All this said and done, it finally comes down to how much of your obsession with the profession is showcased in your resume. A winning resume must be crafted to highlight your interest and past associations with the industry noticeably. Top hedge fund organisations hire individuals who are hungry, humble and smart. With this in mind the plan to begin a successful hedge fund career should be taken care with much ease. Ellie Williams is a journalist and blogger who writes about Career and Finance.